Schools N More was founded in March 2011 with an objective to highlight the best of learning opportunities and to make them available for kids on a global and local scale in the offline and online world. 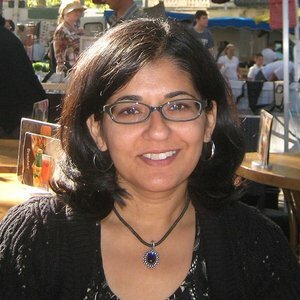 This E-Learning application offers you a platform where you can find user friendly functionalities to search for over 8000 schools in the USA, India and Singapore, gain ability to search for over 3000 activities/classes, quality online learning resources and activities that have been reviewed/rated, articles and tips on education, curriculum choice and parenting. The client wanted an app wherein students can find schools in various countries of the world and also gain access to valuable learning resources. They wanted advanced search and communication tools for parents and students to connect them on a single seamless interface. 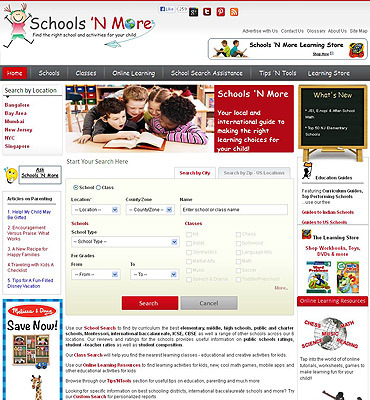 Client required easier, quicker and authentic application for the parents find schools across some metropolitan cities in India, USA, Singapore We provided a user friendly interface to display all the content and proper navigation to all the pages. The project required a lot of information and research for developing better web pages equipped with details as per geographical categorization. Our designing and development team searched through various online schooling portals to understand missing appropriateness or incompleteness offered by the available applications. Throughout the development process, we communicated with the client to take their inputs all along. Our developers moved to the next phase of development after the previous one was achieved and approved by the client. After few consultations and detailed look-up in the educational industry, our developers and designers provided an engaging portal that delivers efficient solutions to the queries asked. The website also required to add PayPal Standard Payment solutions as it allows shopping for books, toys and DVD. Today, the website caters wider audiences reaching entire potential global markets. It has become one of the platforms to promote itself as a great place for children to be educated. 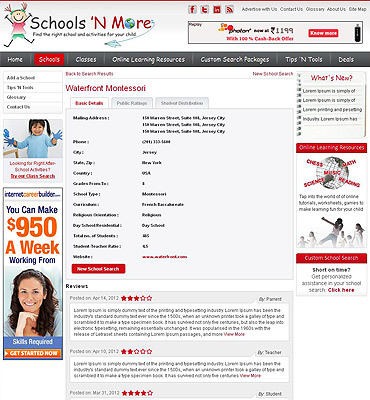 The app covers school details, school reviews and rankings based on Dept. of education assessments. Deliver quick information relevant to geographical locations.